France Book Tours Newsletter #3 giveaway winner! 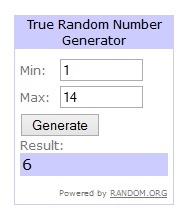 The December giveaway will be quite thrilling! mailchimp will not count it as open. France Book Tours Newsletter #4 will reach you in the 2nd week of December. NB: viewing the message in the view pane of your browser is not enough: you have to click to open it, otherwise Mailchimp does not count it as open.